Social media fundraising campaigns don’t have to be boring. If you want them to be successful, they shouldn’t. When I got a glimpse at the Week of Heroes thanks to Danielle Sewell, Marketing and Communications Director at Coker College, I asked her to tell me more about it. This fun(d)raising integrated campaign was such a great example of how to win your social media fundraising challenge that I wanted to make sure YOU could also hear about it. So, I asked Danielle to write this case study about it. 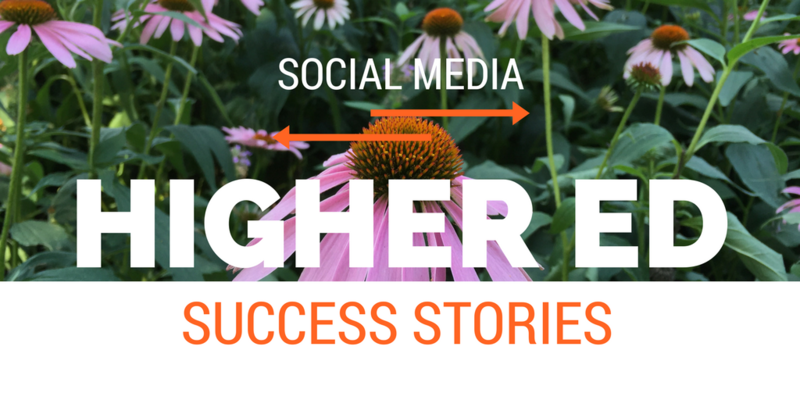 Danielle’s post is the 4th in my series focusing on higher ed social media success stories written by professionals working in schools (Got one? Email me at karine@higheredexperts.com). 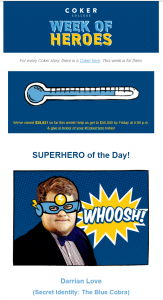 A higher ed giving day (week) with super powers? The Week of Heroes, Coker College’s multi-layered campaign for community engagement, appreciation, and fundraising, was born from our desire for a different spin on the traditional giving days. We wanted to do something more engaging. We wanted to inspire our campus community. We also wanted to show gratitude for all of the people who make Coker such a great place. 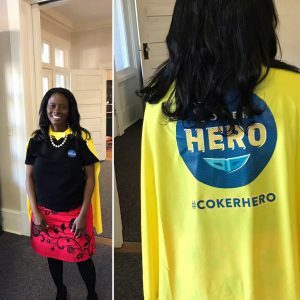 To identify the heroes of this week, we decided to ask students, faculty, staff, and alumni to nominate their personal “Coker Hero” by completing a submission form. This online form asked for the name of the nominated Coker Hero and the reason for the nomination. Nearly 150 submissions were collected this way. 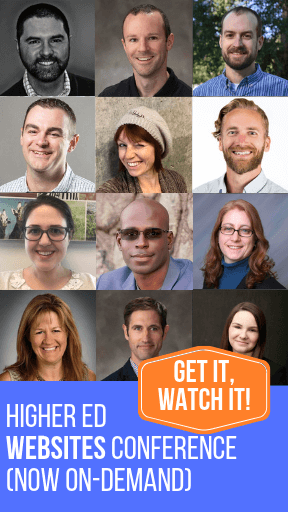 We used many of the warm and fuzzy stories shared in all these submissions to create and pre-populate the foundational content for our campaign (daily emails, social media posts across Facebook, Twitter, and instagram, etc.). Our social media campaign was designed to combine pre-designed posts using this foundational content with photos and posts submitted during the Week of Heroes via the hashtag #CokerHero. Video played an important role in this social media campaign — as it often does nowadays. Our videographer produced a series of fun videos, starting with a superhero movie-style trailer alerting the community of the imminent release of the Week of Heroes, moving on to a launch video to build momentum and explain how to participate, and finally a thank you video highlighting the best of the week and celebrating our success. On campus, several units joined forces to make the Week of Heroes a success. 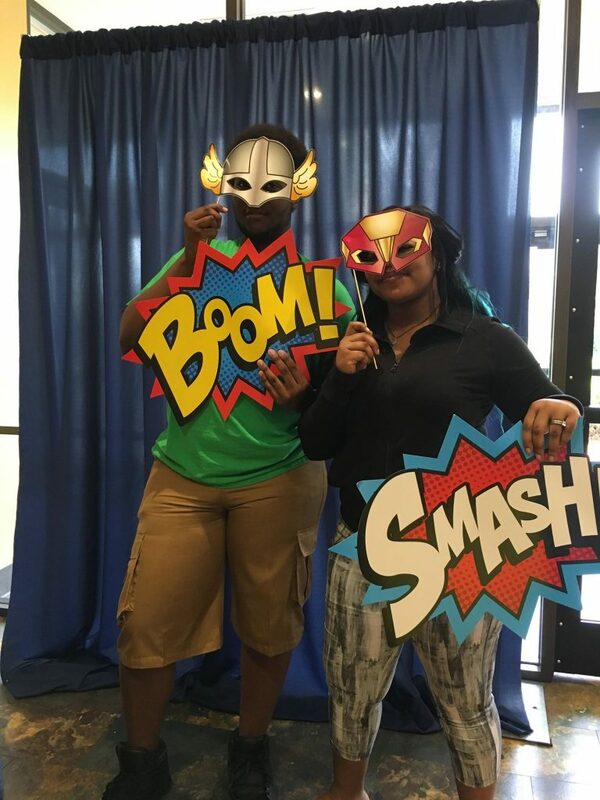 The office of student success also played a huge part by hosting a superhero-themed party for students, complete with a Coker Hero photo booth. Our library staff even made one of their signature events—an adult coloring night—superhero themed. We also had “Coker Hero” stickers made for students to hand out to their heroes, and “Week of Heroes” buttons for faculty and staff to wear throughout the week. We even had a few “Coker Hero” capes made for the occasion. These capes were passed around campus and our local community while they moved from hero to hero as people recognized one another’s impact. People shared thanks, appreciation, good feelings but they also made donations. We asked them to honor their Coker Hero by giving back to the Coker community in their honor. They had the option to dedicate their gift to their hero on the online giving form. We even had a few “superheroes” come to the rescue by offering matching gifts and issuing challenges to certain groups of students or alumni. Our fundraising goal was $50,000. We ended up raising $62,872. In terms of engagement, we were incredibly successful, with Facebook posts from the main Coker College account seeing 2,421 engagements. Twitter posts saw an average engagement rate of 6.6% (1,445 engagements in total), and Instagram had 1,864 engagements. We are a very small school, so for us, these numbers were exceptionally high. In total, the social content related to The Week of Heroes had over 200,000 measurable impressions and a reach of over 88,000 users. What’s even better is the fact that the campaign has deep impact on the overall mood at our college. There was a palpable air of positivity around campus, and everyone had a lot of fun. While we did have a couple months of prep time leading up to this campaign, more lead time is always better. I wish I had more time for one-on-one conversations with faculty and staff to prepare them to hit the ground running. The fundraising platform we used at the time of the campaign wasn’t very robust. We are in the process of remedying the issue now. But, I would have loved to be able to do customized fundraising challenges and to celebrate individual donors/honorees more effectively. But, the biggest lesson learned is related to the focus of these giving days (or weeks). If you make it about the people, about the community, the money will come. Fundraising, like engagement, is a process. If you rush into a hard ask, you’ll scare off some of your best potential advocates. People don’t donate, because the institution needs it. People donate, because the institution cares. Whether you’re building a social media presence or pursuing a major fundraising goal, tell a human story if you want to be successful. Danielle Sewell is the Marketing and Communications Director at Coker College. 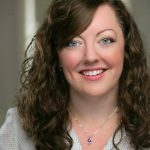 She is a community-builder and branding strategist.